"Pattabhi Agro Foods Private Limited" is engaged in paddy purchases, processing, milling and grading of rice and its bi-products. It primarily concentrate on processing and trading of agro commodities. Each of this activity is being handled by us with the most care. 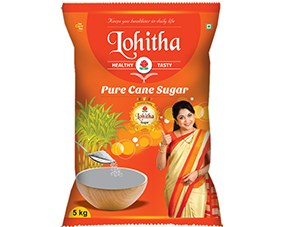 We are one of the largest exporters in Indian Rice from South India. 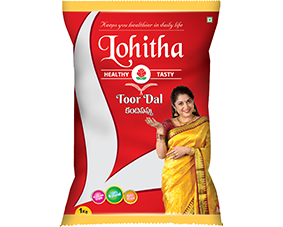 And also we have a local brand name as "SRI LOHITHA", which caters to South Indian states with wide range of products. We are the first rice mill to introduce Grain sorting and grading machines in south India. Introduction of world class equipment generated superior export quality rice. We generate 9 Megawatt power from incinerating industrial waste. Our factory uses 6 Megawatt and the remaining is given back to the grid where there is severe electrical shortage. The systematic examination, checking & re-checking of paddy and rice to determine the end product's excellent quality is the secret of Pattabhi Agro's Success. 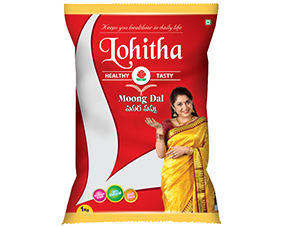 Dal is a term in the Indian subcontinent for dried, split pulses.The term is also used for various soups prepared from these pulses. These pulses are among the most important staple foods in SAARC countries, and form an important part of Indian. Our growth in rice export over the years demonstrates the quality, consistency and strive for continuous innovation. We are recognized by Indian government trading house and also well knowns to International traders such as Louis Dreyfus, Platinum Corp., VoestAlpine, Phoenix, OLAM and Topefer to name a few. Today rice from our mill goes to all over the word from Far East, Africa to European continents. 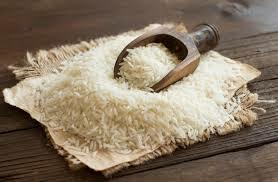 We have the expertise to manufacture rice according to the country specific requirement. Location advantages have created new opportunities for the company to export agricultural commodities such as Maize and Wheat. We are continuously improving our offering in terms of technology by implementing ERP( ENTERPRISE RESOURCE PLANNING) Application to increase all our stakeholder satisfaction. Our research and development team is working with the local farmers to introduce new seed varieties which can improve yield, quality and net income to farmers. We also support distressed farmers with funds, fertilizers and expert advice from qualifies Agri specialists. We have the Biggest &amp; Latest Highly Sophisticated State of the Art Machinery to Cater to the needs of the Global Clients at par with International Standards. Pattabhi Agro Foods Private Limited's vision is to provide the most effective business solutions in terms of competitive prices for various products, including quality, delivery and services. The company exports rice to more than 15 countries across the globe i.e. South Africa, Nigeria, Cameroon, Benin, Togo, Dubai, Yemen, Ivory Coast, Russia and Georgia, Malaysia, Indonesia, Singapore, Sri Lanka, Vietnam and Yemen.
" Pattabhi Agro Foods Private Limited " is engaged in paddy purchases, processing, milling and grading of rice and its bi-products. It primarily concentrate on processing and trading of agro commodities. Each of this activity is being handled by us with the most care. 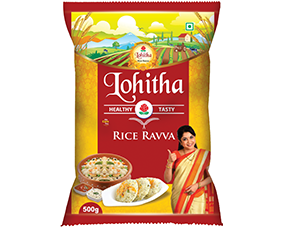 We are one of the largest exporters in Indian Rice from South India. Plant : Pattabhi Agro Foods Pvt Ltd Valutimmapuram Road, East Godavari District.